Marvel Engineering manufactures suction filters, return line filters, pressure line filters, spin on filters, tank mounted filters and portable filtration cart replacement media. 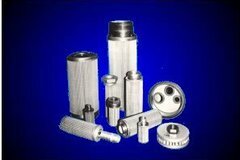 The Marvel Filter Company replacement hydraulic filter is a performance element filter offered in various mesh sizes made of stainless steel or paper as well as high pressure and low pressure configurations. Return line filters are mainly used for low pressure return lines. Hydraulic fluid is returned to the reservoir. They offer fine filtration in a choice of mesh sizes, with a built in by-pass valve (recommended). These filters are available in T-type filter, in-line filter, spin on filter and color indicating Colorator. Threaded ports, bolt on, spin on,brass housings and Stainless Steel element options. Condition indicator and differential electrical switching. 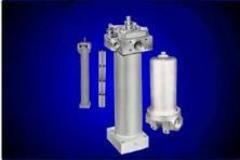 High pressure filters are used in the pump's main pressure line to assure clean oil. Essential for the proper operation of all high pressure systems. This is an extremely close-fitted component. T-type (Up to 6000 PSIG) visual and/or electrical. Indicating types up to 5000 PSIG. 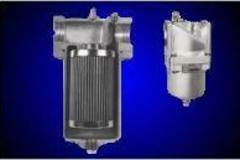 Replacement pressure filter element available. Spin on filters are used in low pressure and return lines, for a quick and easy change of cartridge. T-type filters with threaded spin on cartridges & bolt on port adapters 60 PSIG (4.1 bars) maximum operating pressure 75 GPM (300L/min). Disposable cartridges with 0.6 micrometers to 914 micrometers. Cleanable reusable filter elements are woven wire mesh filtration media. Marvel has designs hundreds of strainers and filtration applications for our OEM customers. These high quality, low cost strainers can be used for hydraulic fluids, coolants and lubricants. Tank mounted strainers installed through reservoir side wall, tank top or into a standpipe. Either way, access is easy. Male, female and barbed connections available with a micrometre rating range of 1 to 546.